If you’ve checked into attending group or private language lessons to learn Dutch than you know it’s very expensive. Thankfully there are free, or nearly free, alternatives out there for people to learn this European language. When people ask, “What is the easiest way to learn Dutch?” there are six ways this can be accomplished on a budget. The Dutch language is one of the easiest languages for English speakers to learn. The structure of sentences is similar and there are plenty of words in common. 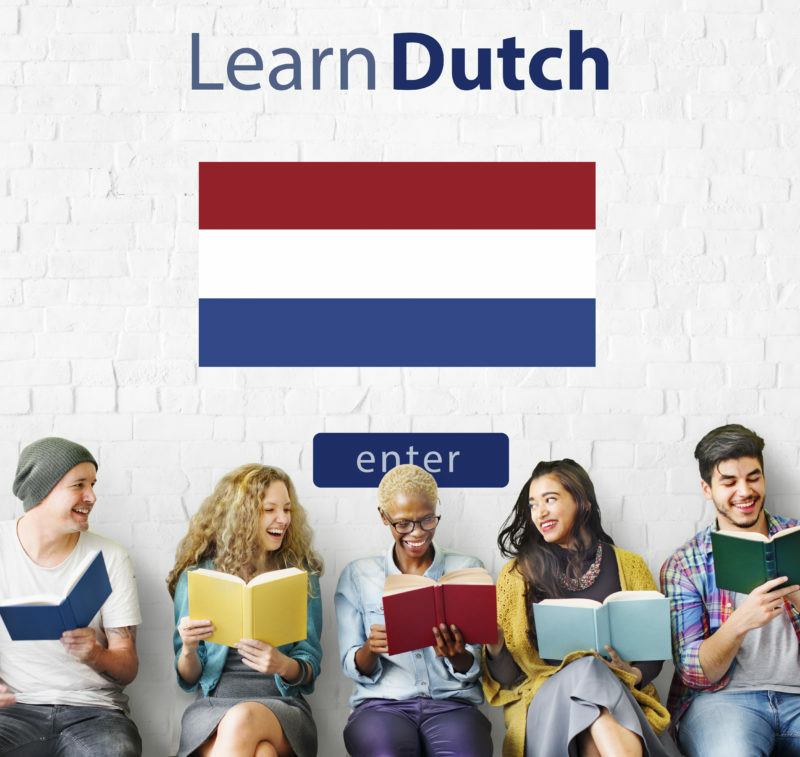 By using free ways to learn Dutch you certainly won’t be mistaken for a native speaker of the language but you will be able to talk to people in the Netherlands in the Dutch language. There are levels to learning Dutch and how comfortable you feel doing so. For most of us how best to learn Dutch is by taking advantage of free, or very inexpensive, ways of doing so. For those who can afford pricy lessons, those are a very good option but most people don’t have the financial wherewithal to do so. If you learn how to read and speak Dutch using a way that is free you will be able to handle normal conversations in Dutch. You will also be able to read and understand a newspaper. Additionally, you will be able to listen to radio, music, podcasts, TV shows, and movies in Dutch and follow along to what is being said. There’s an app you can use on desktops, laptops, smartphones, and tablets called Duolingo. This app teaches nearly 30 different languages one of which is Dutch. It is designed for English speaking people to learn a foreign language whether at home or on the go. Duolingo is designed to be fun and engaging, not a boring way to learn a language. What is the easiest way to learn Dutch is to get down the basic rules such as basic pronouns, sentence word order, and how to change singular nouns into those that are plural. If you have 15 minutes a day to spare than Duolingo will quickly get you up to speed on the basics of speaking and reading Dutch. Another nice thing about this app is that there is an active community of users who also want to learn Dutch. You will get a quick response to any questions you have and there are plenty of people willing to help you out. Libraries have books to lend that teach people languages including Dutch. And, of course, it’s entirely free to check out a book, assuming you return it on time. Go the language section of your library and check out what they have to offer. Libraries also allow people to check out video and audio programming which can include things that are in Dutch. If you read one book from the library every other month about learning Dutch you will really accelerate your learning. They teach a broad variety of areas about this language including grammatical rules and what words are shared between Dutch and English, albeit often with a little bit different spelling. Most communities have what are called tiny libraries. These are often on the side of a building and they have books inside you can take for free. When you’re done with the book you either return it to the tiny library you got it from or another one instead. This is on the honor system but they work pretty well surprisingly enough. You can almost always find children’s books in a tiny library. This is great for people who want to learn a language because the words and sentences are simplified. If you’re in the Netherlands you can stop by a tiny library and go through a new book each week. When it comes to how best to learn Dutch, reading children’s books is one of the most effective ways of doing so. Once you have read enough children’s books you will be able to move onto more advanced books, also available in tiny libraries. Every type of book is left in tiny libraries including drama, science fiction, historical nonfiction, and more. Radio stations and podcasts are free to listen to. Netflix does have a monthly charge, first month free, but it is still pretty low-cost. All of these have programs that are recorded in Dutch. There are hundreds of radio stations on the internet that you can listen to for free. You can listen to these while doing chores such as cooking dinner and still learn Dutch while the program is playing in the background. On Netflix you can turn on subtitles when watching a TV show or movie in Dutch. At some point you will want to turn the subtitles off so that you need to really pay attention to what is being said. This will accelerate your learning. The great thing about watching a TV show or movie is that you’re fully immersed in it which really helps your brain process and retain information such as another language. Having friends who speak Dutch will really help you out and you get to socialize. By regularly meeting up with these friends you will slowly but surely come to understand what they are saying. At first it will be a word here or there, than a phrase, than an entire conversation. Most people in the Netherlands speak English. When they hear someone struggling with Dutch they are usually very quick to switch to English. You can politely ask them to not do so as you are trying your best to learn the language. Not that you’re going to date someone just because they speak a language you want to learn but it is certainly true that being around someone who speaks a foreign language means that you will rapidly learn it as well. By being around them on a regular basis you will naturally learn words and phrases. They can also help you perfect your pronunciation and answer your specific questions. Finally, persistence pays off when learning a foreign language. Don’t get discouraged and just stick with it. You will face setbacks and have to go over the same material time and again but that’s all a natural part of learning a foreign language.